What is bullying in 2018? I spoke about bullying recently on a Channel 2 WKRN special on teen mental health. Teens who have been bullied aren’t uncommon for me to see as a counselor. Being bullied can have dire effects on mood, behavior, grades, social activity – you name it. So, you can see why it’s something that folks may come in having a tough time with. Figuring out bullying can be a tough task that leaves teens, parents, and other adults scratching their heads. There are so many moving parts: why someone bullies, who becomes a target for bullying, what the effects are, and how to deal with it. The news segment wasn’t able to include all of the information we covered, so I want to give you more here. This is the first blog post in a five-part series on bullying. Let’s look at what bullying is in 2018. You’re back in high school, with the same people every day for years. A world exists outside of here, but this is your primary social setting. Now imagine that a rumor gets spread about you (you have an STI, you’re “crazy,” you slept with a certain person, you lied about being raped, on and on….). The person who spread that rumor is your “friend,” and the rest of your friends are siding with her. By the end of a week, it seems like the whole school knows. Imagine that you get beaten up and made fun of in the middle of the hall with 50 people gathered around. Someone recorded it, and it was on YouTube by the end of the day. You hear people talking about it at lunch. You feel like everyone thinks you’re weak, and like this could happen again. In either of these cases, you walk those halls, go to those classes, all with those same people. How would that experience be? This may include making threats or physically harming someone. Physical bullying has obvious and immediate painful consequences that can also cause a great deal of embarrassment for the bullied teen. Males are often judged on physical strength and ability to defend themselves or someone else. Taking that away in public can have effects that last longer than bruises, cuts, or even broken bones. We also now know that head trauma is a real thing with potentially lifelong consequences and happens more easily than we used to believe. Verbal bullying is serious, as well. It may seek to degrade, discredit and/or shame the bullied teen. This can be a humiliating experience when it occurs in public. Cyberbullying can be easily hidden, have far-reaching effects, and can have little reprieve. The next blog cover this type of bullying in depth, since it is relatively new and so prevalent. Discrimination may based on race, ethnicity, sexual orientation, gender, disability, and religion, among other factors is another type of bullying. These types of discrimination have the potential to be actions that break the law, and sometimes authorities handle them in that manner. There have been instances in the past in which discrimination became violent or deadly. Some of these incidents have been widely publicized. These types of comments are more than inappropriate and have the potential to result in long lasting effects for the person on the receiving end. These effects may include feeling self-conscious about one’s own body, experiencing social anxiety, as well as other consequences. Authorities may treat these comments as illegal. I hope this helps to shed some light on what bullying currently looks like for teens. 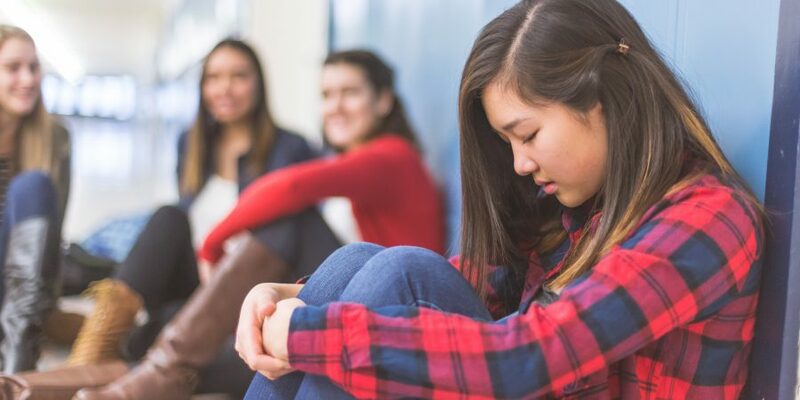 To review, bullying can have immediate and long-lasting effects, such as anxiety, depression, lower self-esteem or confidence, and physical pain. It is important for us as adults to try to keep that in mind. That will help us to be as supportive and helpful as possible. We can always seek outside assistance if needed. Luckily, there are actions that we can take to deal with this issue. My next blog post goes over cyberbullying in more detail, as this is still relatively new and constantly changing and evolving.